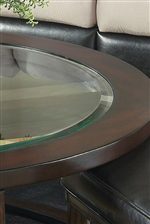 With its clear beveled float glass insert and straight legs ending in a "X" base, the Round End Table enhances your living room space with a rich contemporary design. 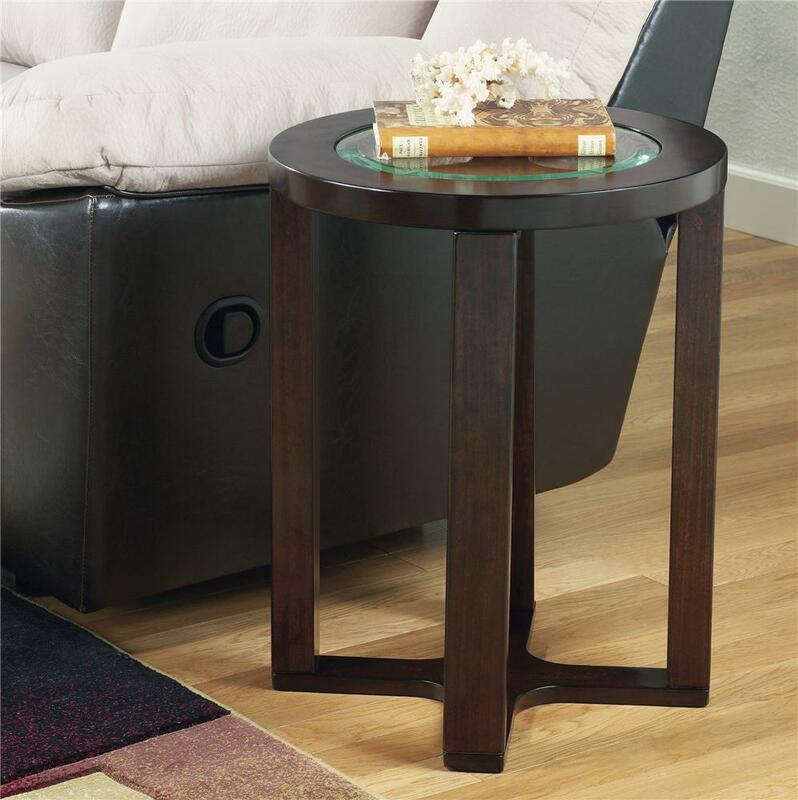 Use this end table next to a sofa or chair and utilize its glass top by using it to hold your books or a nice, cold glass of iced tea. 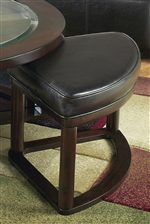 Accent your living room with the contemporary style of the Round End Table. 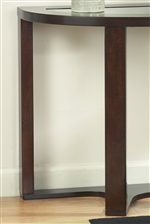 The Marion Glass Round End Table by Signature Design by Ashley at Furniture Fair - North Carolina in the Jacksonville, Greenville, Goldsboro, New Bern, Rocky Mount, Wilmington NC area. Product availability may vary. Contact us for the most current availability on this product.